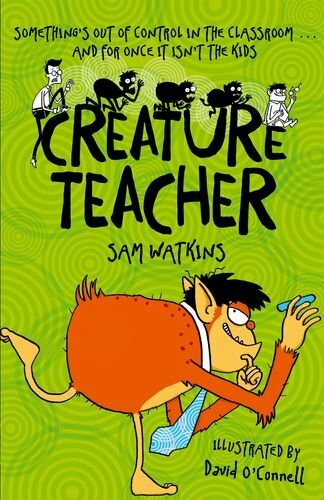 This funny series for 7-10s is written by Sam Watkins and illustrated by me. 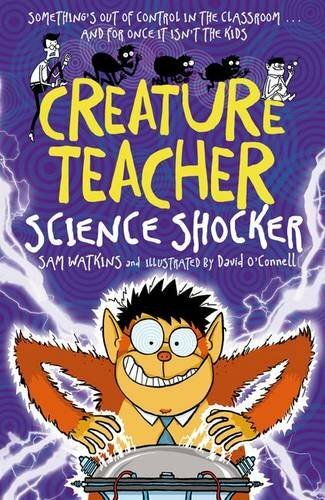 A strange thing happens to Jake’s teacher Mr Hyde when he gets upset: he turns into a little monster that causes chaos in the classroom! For fun activities see the Creature Teacher website! Buy local! Please support your local bookshop if you have one! You can find your nearest bookshop using this link. Alternatively you can use Hive to order a book online and have it delivered to a shop near you. Also published in Danish, Turkish, Hungarian, Slovakian and Vietnamese. 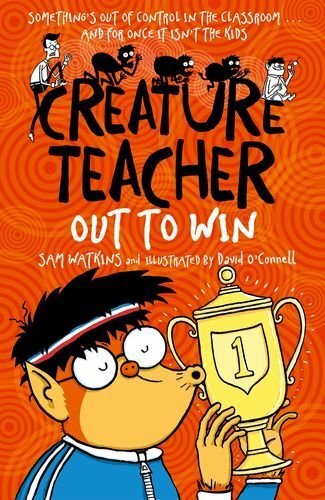 Winner of the Heart of Hawick Children’s Book Award 2016! Jake’s class finally has the best teacher in the whole world, Mr Hyde. He doesn’t make them clean toilet bowls with toothbrushes and his lessons are always fun. There is just one teeny, tiny, HUGE problem. Mr Hyde transforms into a naughty, little creature whenever he becomes upset. The creature has some amazing abilities but being well-behaved isn’t one of them! Jake’s class will have to use all their ingenuity to hide the creature, so they can keep their brilliant teacher. But Mrs Blunt, their headmistress, is never far off the scent . . .
Jake and his class are going to the opening of Wilf’s Wild Adventure Theme Park. 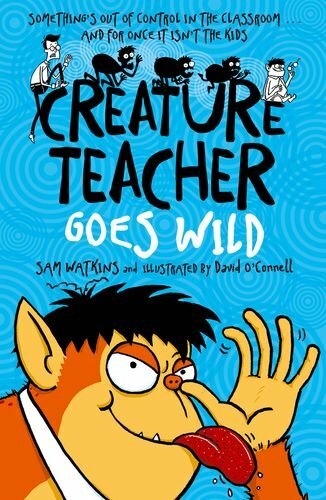 Things get a a bit too wild, though, when Jake’s teacher – Mr Hyde – ends up turning into Creature and causing chaos! Jake and his friends will have to find Creature and get him to turn back into Mr Hyde before the truth about their teacher gets out. It’s going to be a rollercoaster of an adventure! 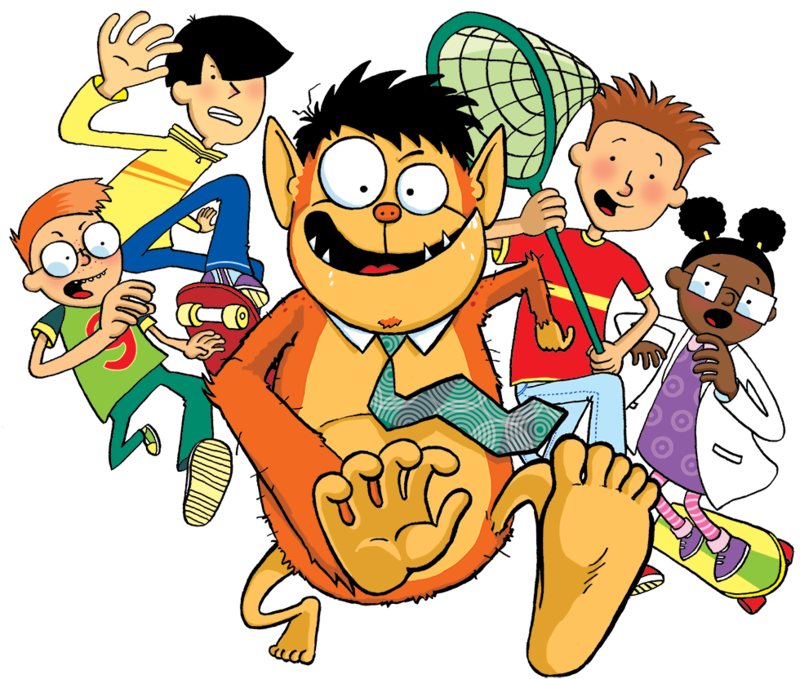 Mischief and chaos are never far away when their teacher, Mr Hyde, turns into Creature, but now Jake and his friends have serious problems – there’s not just one Creature, but two! Things get really explosive when there’s double trouble! Jake and his friends are competing in front of a crowd of thousands at the local football stadium. Well, maybe not thousands, but lots of their mums and dads are there. So when their brilliant teacher, Mr Hyde, turns into a mischievous little creature, how on earth are they going to keep his secret? There’s only so long that they can pretend he’s the team mascot, and he’s certainly not going to play by the rules!